The Division of Neurology, in the Department of Pediatrics at Dalhousie University and the IWK Health Centre, invite applications for two full-time academic Pediatric Neurologists at the Assistant, Associate or Full Professor level. These individuals will join a team of 4 neurologists. The academic physicians will primarily provide clinical service across the full spectrum of pediatric neurology. The successful candidates will also be expected to participate in research and/or teaching activities in an academic environment; a developed interest in either would be considered an asset. The successful candidates will be expected to participate in the on-call coverage for general pediatric neurology. The applicants must have an MD or equivalent, and be board certified in Pediatric Neurology (Canadian FRCPC or eligibility), and be eligible for licensure in the Province of Nova Scotia. For one position, expertise in pediatric neuromuscular diseases with certification (or willingness to acquire certification) in EMG and NCS is a requirement. Interested candidates should submit a current CV as well as send a statement outlining their academic and research interests. 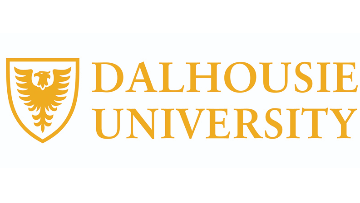 A complete application also includes a completed Self Identification Questionnaire, which is available at http://www.dal.ca/becounted/selfid Candidates should also arrange to have three letters of reference sent under separate cover to the Chair of the Search Committee. At least two of these references must come from academic referees. Dalhousie University and the IWK Health Centre are located in Halifax, a cosmopolitan port city and the capital of Nova Scotia. Halifax is alive with culture and heritage and embraced by the Atlantic Ocean.